Richard Denison, Ph.D., is a Lead Senior Scientist. Lindsay McCormick is a Project Manager. Today, EPA issued its long-awaited rule to gather risk-relevant information on nanoscale materials. The new rule will finally allow EPA to obtain basic data on use, exposure, and hazards from those that manufacture or process these materials, which has long been recognized by experts as essential to understand and manage their potential risks. Nanomaterials – a diverse category of materials defined mainly by their small size – often exhibit unique properties that can allow for novel applications but also have the potential to negatively impact our health and the environment. Some nanomaterials: more easily penetrate biological barriers than do their bulk counterparts; exhibit toxic effects on the nervous, cardiovascular, pulmonary, and reproductive systems; or have antibacterial properties that may negatively impact ecosystems or lead to resistance. Last month, the Food and Drug Administration’s (FDA) scientists published a study showing significant increases in perchlorate contamination in food sampled from 2008 and 2012 compared to levels sampled from 2003 to 2006. The amount of perchlorate infants and toddlers eat went up 34% and 23% respectively. Virtually all types of food had measurable levels of perchlorate, up from 74%. These increases are important because perchlorate threatens fetal and child brain development. As we noted last month, one in five pregnant women are already at great risk from any perchlorate exposure. The FDA study doesn’t explain the increase in perchlorate contamination. Yet, it’s important to note that there is one known factor that did change in this time period: FDA allowed perchlorate to be added to plastic packaging. Bologna: At a shocking 1,557 micrograms of perchlorate per kilogram (µg/kg), this lunchmeat had by far the highest levels. Another sample had the fifth highest levels at 395 µg/kg. Yet a quarter of the other bologna samples had no measurable perchlorate. Previously, FDA reported levels below 10 µg/kg. Salami: One sample had 686 µg/kg giving it a third ranking. Other samples showed much lower levels and six of the 20 had no detectable levels of perchlorate. Previously, FDA reported levels below 7 µg/kg. Rice Cereal for Babies: Among baby foods, prepared dry rice cereal had the two highest levels with 173 and 98 µg/kg. Yet, 15 of the 20 samples had non-detectable levels of perchlorate. Previously, FDA reported levels less than 1 µg/kg. All Americans who have been tested have perchlorate in their bodies. Perchlorate threatens fetal and child brain development by impairing the thyroid’s ability to transport iodine in the diet into the gland to make a thyroid hormone, known as T4, that is essential to brain development. Both the Environmental Protection Agency (EPA) and the Food and Drug Administration (FDA) are scheduled to make decisions in 2017 that could significantly reduce exposure to this hazardous chemical. Based on statements in a new report by EPA, we estimate that at least 20% of pregnant women are already iodine deficient, resulting in T4 levels that put the fetuses’ developing brains at risk. For this population of pregnant women, any perchlorate exposure results in an even greater risk of impaired brain development in their children and potentially a lifetime of behavioral and learning difficulties. EPA will decide in January 2017 whether hypochlorite bleach, an antimicrobial pesticide, degrades to perchlorate in significant amounts. If EPA agrees it does, the agency must set standards to limit that degradation as part of its 15-year update to the pesticide’s registration. Bleach is a widely-used disinfectant in food manufacturing facilities and likely a significant source of perchlorate in contaminated foods. Research shows that reducing hypochlorite concentration limits degradation and this, coupled with expiration dates on the product would significantly reduce exposure to perchlorate. FDA will decide whether perchlorate should continue allowing perchlorate to be added to plastic packaging for dry food at levels up to 12,000 ppm to reduce buildup of static charges. The agency has evidence that the perchlorate migrates from the packaging into food, especially when it flows in and out of the container. In response to a lawsuit filed by public interest organizations, FDA told a court that it aims to make a final decision by the end of March 2017. A 2008 report by FDA indicated that almost 75% of all food types are contaminated with perchlorate. EPA told a court that it will complete external peer review of a dose-response model in October 2017 and sign a proposed rule to regulate perchlorate in drinking water a year later. This model is a critical step in establishing a drinking water standard for perchlorate pursuant to its 2011 determination that an enforceable standard was necessary under the Safe Drinking Water Act. The perchlorate is most likely from contaminated source waters (e.g. from military and defense industry activities and some fertilizer use in agricultural regions) or from degradation of hypochlorite bleach used to disinfect water. EPA acted in response to a lawsuit by the Natural Resources Defense Council. To guide their decision-making, FDA and EPA collaborated to develop a biologically-based dose-response model to predict T4 levels in pregnant women, fetuses, and infants exposed to perchlorate. EDF and NRDC submitted joint comments on the model and the summary report requesting that EPA ensure protection of fetuses during the first two trimesters for pregnant women with serious iodine deficiencies. These fetuses are particularly vulnerable because their thyroids is not yet functioning. The current fetal model only considers the third trimester when the fetus has a functioning thyroid. The current model fails to adequately protect their vulnerable subpopulations, falling shot of both the EPA’s Science Advisory Board recommendation and the Safe Drinking Water Act requirements. For decades, federal agencies have been charged with protecting children from environmental health risks with the recognition that they are uniquely vulnerable to chemical exposures. The upcoming decisions on perchlorate present critical opportunities to protect what many of us value the most—our children’s health and their ability to learn and thrive to their fullest potential. Today, a prominent group of health care professionals, scientists, and advocates including EDF published a consensus statement highlighting the significant scientific evidence linking impacts on children’s brain development to exposures to certain toxic chemicals. Beginning in utero, children are particularly vulnerable to the effects of toxic chemicals and exposures occurring early in development can result in lasting, later life outcomes. The TENDR (Targeting Environmental NeuroDevelopmental Risks) Consensus Statement, published in Environmental Health Perspectives, outlines troubling statistics on the high incidences of neurological disorders in children, ranging from ADHD and other behavioral disorders to reduced IQ. Some of the exemplar chemicals featured in the statement include the PBDE flame retardants, phthalates, air pollution, and lead—all harmful chemicals that EDF has blogged about and been working to address through policy improvements, better exposure monitoring tools, and market action. A number of factors contribute to neurological disorders, but exposure to neurodevelopmental toxicants is preventable. The TENDR statement calls on government, the business community, and health professionals to all redouble efforts to reduce children’s exposures to neurodevelopmental toxicants. We applaud the broad set of individuals and organizations that came together to develop and support the TENDR consensus statement, and hope that it will catalyze actions to protect children from chemicals that adversely impact their brain development. Jonathan Choi, chemicals policy fellow, and Ananya Roy, health scientist, coauthored this post. It was December 2009. The newly elected President Barack Obama was spending his first Christmas in the White House, the Black Eyed Peas’ “Boom Boom Pow” was at the top of the Billboard year end charts, and the iPhone 3GS was the new kid on the block. Meanwhile, the environmental community’s eyes were turned towards Copenhagen, where climate negotiators were working to try to craft a lasting international agreement on emissions. 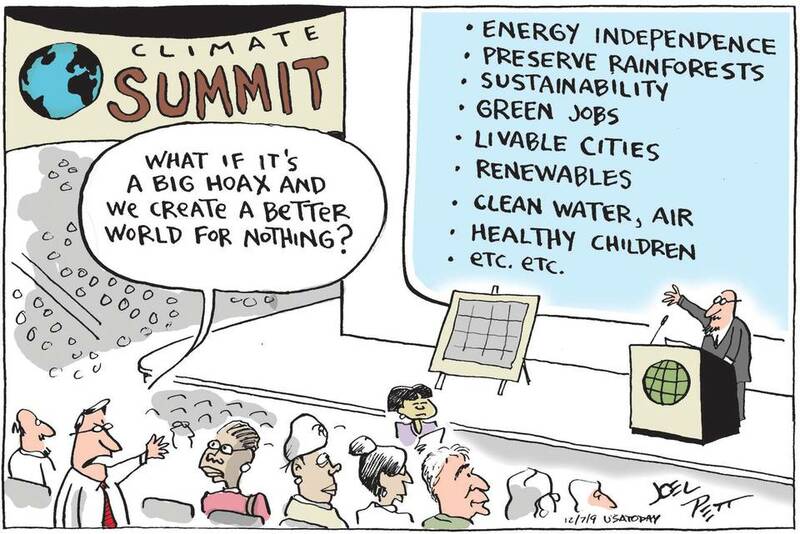 In the middle of the negotiations, Joel Pett published a comic in USA Today (reposted here), which has stuck in the minds of a lot of us who spend time thinking about environmental issues. Lindsay McCormick is a Research Analyst. Chemical and Engineering News (C&EN) recently featured an article on simple, silicone wristbands used to detect chemicals in the everyday environment. Developed by researchers from Oregon State University, these wearable wristbands act like sponges to absorb chemicals in the air, water and everyday consumer products. EDF sees exciting promise in this technology, and has begun using this tool to make the invisible world of chemicals, visible. The C&EN article highlighted two new studies which used the wristbands to characterize flame retardant exposure – the first two published studies to demonstrate that the wristband technology can be effectively used for this purpose.